Kifune-jinja Shrine (貴船神社) is a Shinto shrine located in Sakyo Ward, Kyoto City, and is a very popular with tourists. Because it is to the north of Kyoto, this Shinto shrine has bad access. However, it is very famous for a tourist here. The first reason is the scenery of the approach to a shrine of this Shinto shrine is very Japanese-style. 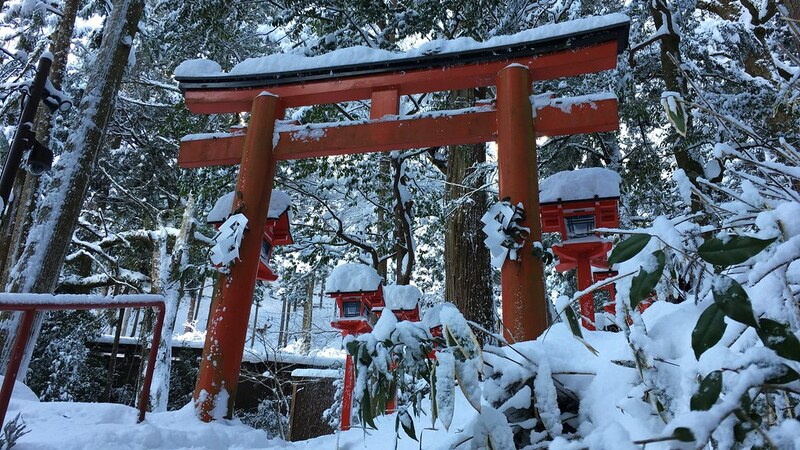 The second reason, this is because this Shinto shrine is one of the best shrine which have a divine favor of marriage in Japan. So, I went to Kifune-jinja Shrine this time. 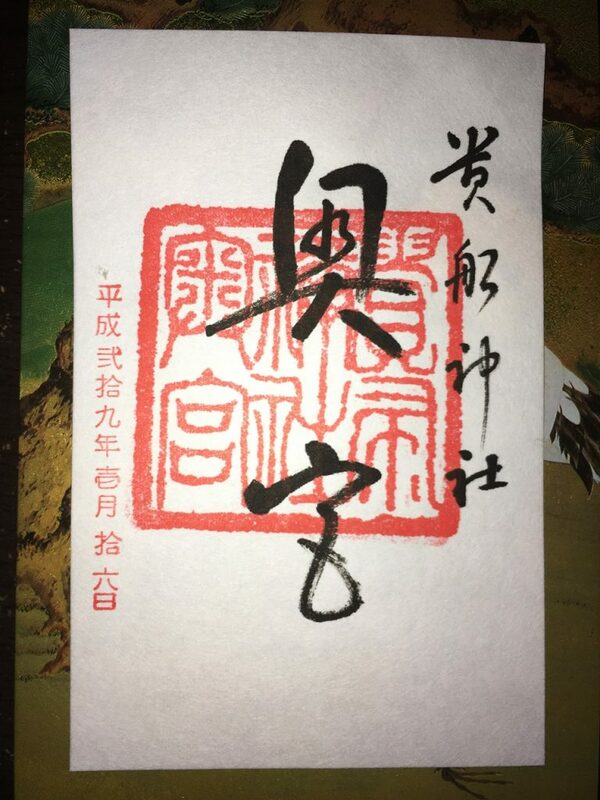 Let’s study the history of this shrine with me before introducing Kifune-jinja Shrine. 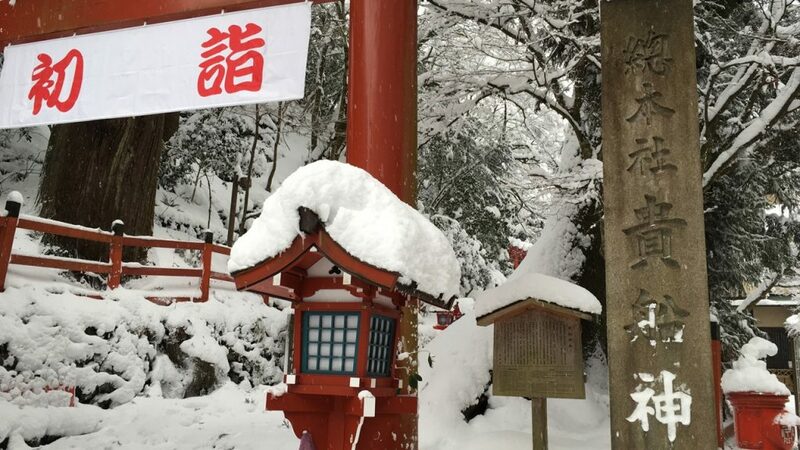 “貴船” which is the area with this Shinto shrine is pronounced as “KIBUNE”. 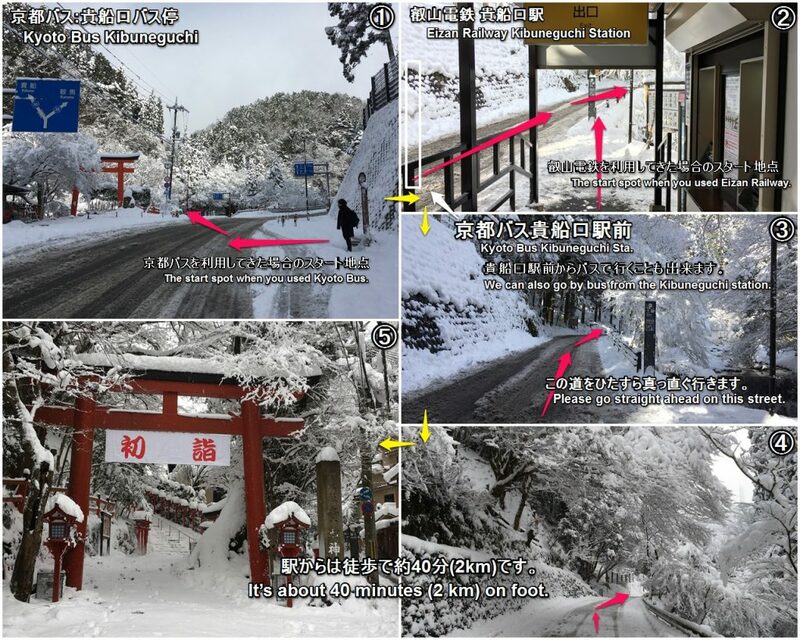 But only “貴船神社” which is the name of this Shinto shrine is pronounced as “KIFUNE-JINJA”. 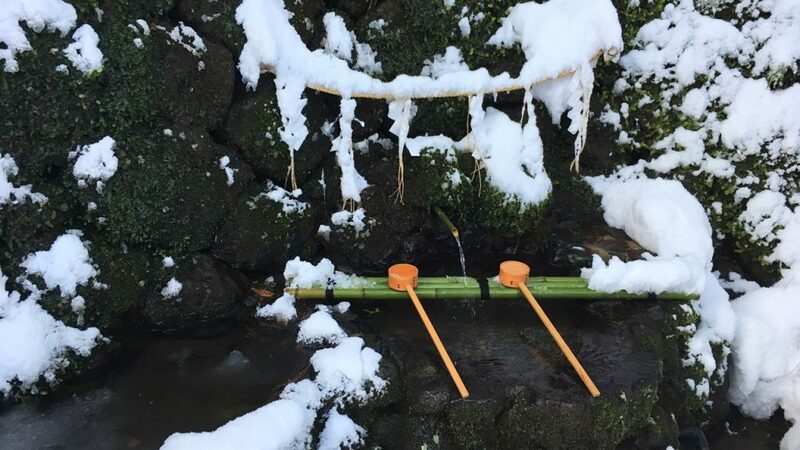 Because Taka-Okami-no-Kami (高龗神) which is the god of “pure” water is enshrined, the name of this Shinto shrine does not have a dot mark of a voiced sound. 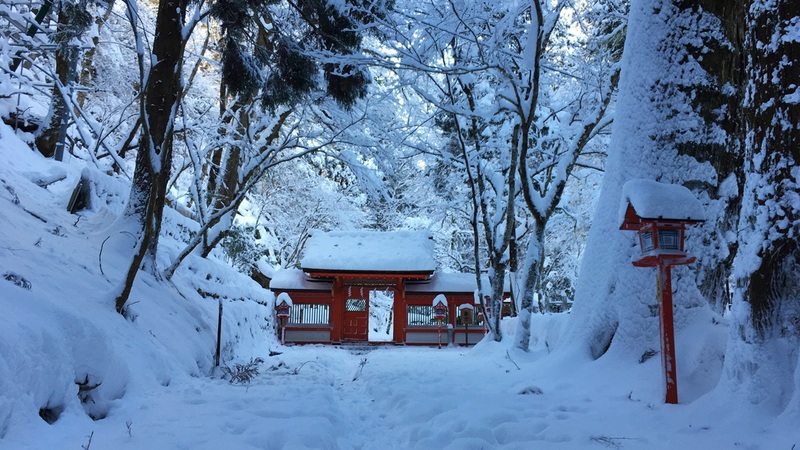 The history of its establishment is unknown, but according to another report, it is said that this Shinto shrine has the history more than 1,300 years. Therefore a lot of legend of matchmaking (marriage) are left in this Shinto shrine from old days. The case of Izumi Shikibu (和泉式部) who was a famous poet of the Heian period (平安時代). Because FUJIWARA no Yasumasa (藤原保昌) who was a husband of her was prone to adultery, she did not get on well with him. 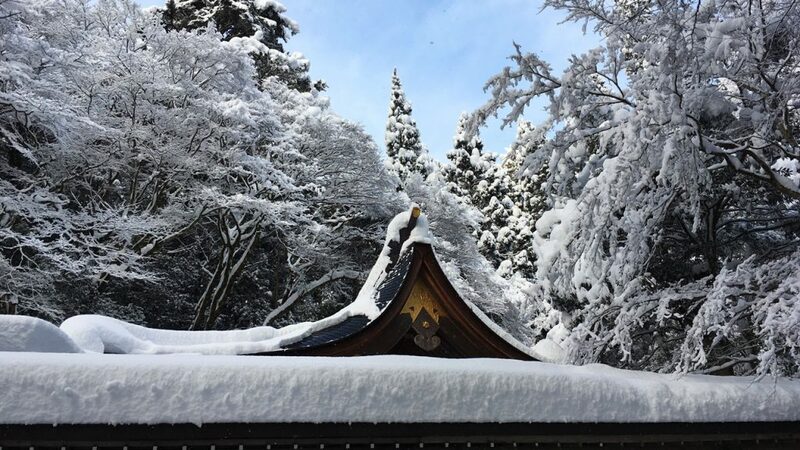 Therefore she went and worshiped at this Shinto shrine which has the divine favor of matchmaking (marriage). And she was able to be reconciled with him because of it. The case of a daughter of the country of ogre. This is a story of the late Muromachi period described in “the Otogi zoshi (a book of ghost stories)” which is a Japanese old tale. The daughter of ogre was in love with a human military commander. However, because they both have different tribes, their family was objected by marriage. They couldn’t give up on marriage. 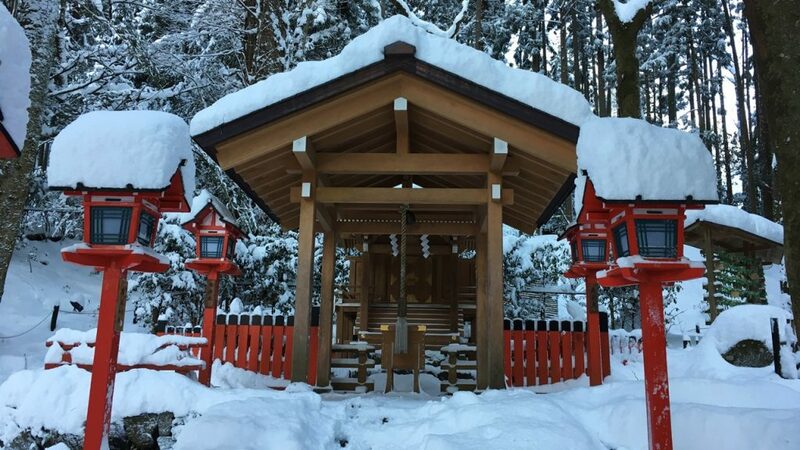 Therefore they went and worshiped at this Shinto shrine which has the divine favor of matchmaking (marriage). 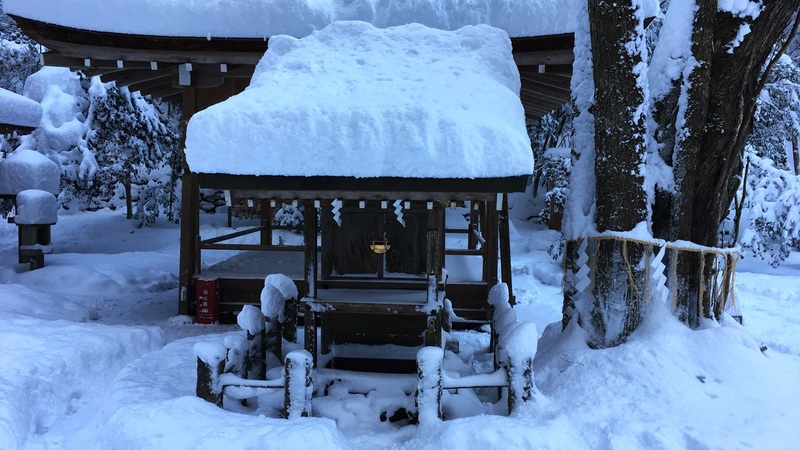 Then, God of this Shinto shrine admitted their marriage. And they were able to get their parents to consent to their marriage. In this way, a lot of legend of matchmaking (marriage) are left in this Shinto shrine from old days. Kifune Shrine (貴船神社 Kifune Jinja), is a Shinto shrine located at Sakyō-ku in Kyoto, Japan. 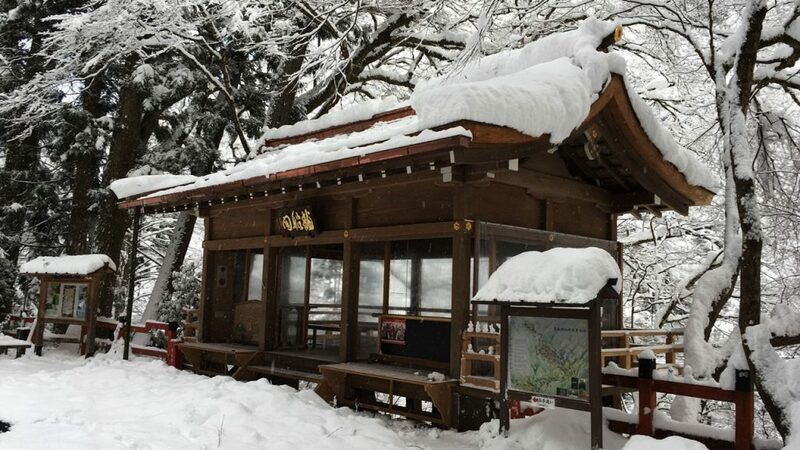 Although the area is called Kibune, the shrine’s name is pronounced Kifune. Kifune-jinja Shrine (貴船神社) is a Shinto shrine located in Sakyo Ward, Kyoto City. 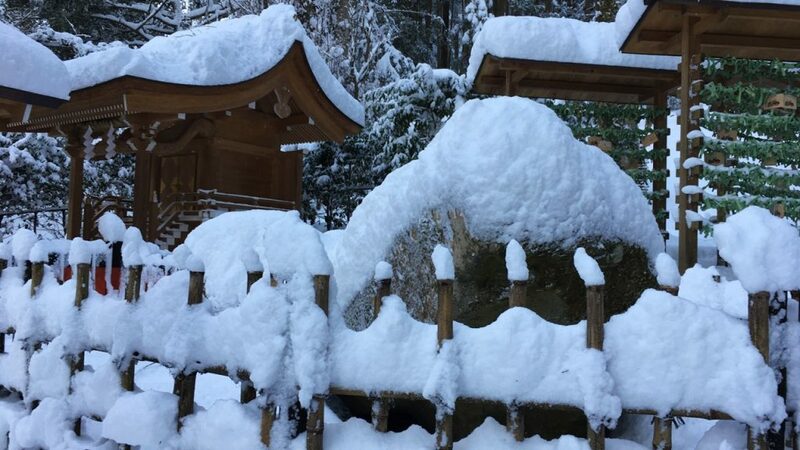 Because this Shinto shrine is in the north of Kyoto, the snow is sometimes piled up here. 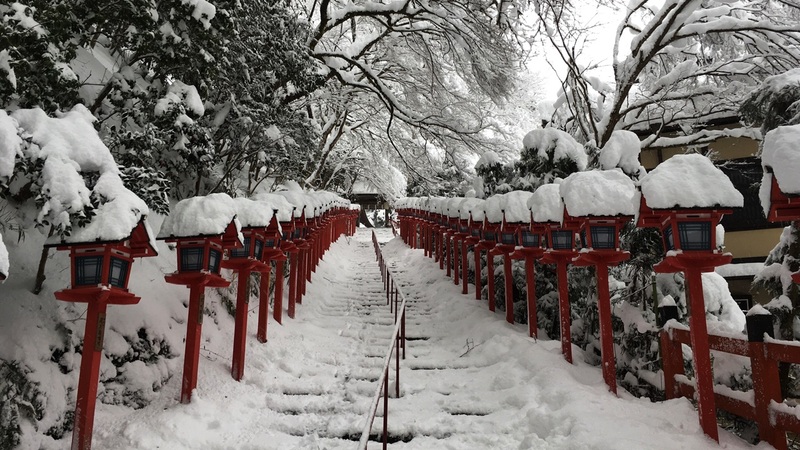 It is the head shrine of the approximately 450 Kifune-jinja Shrines throughout Japan. 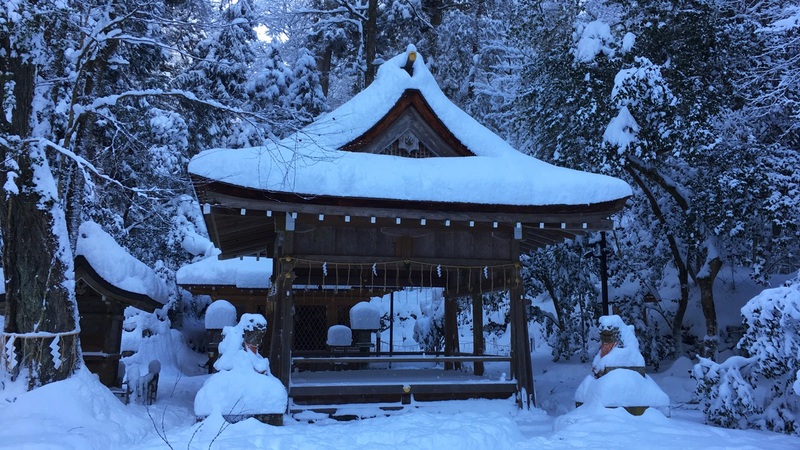 The main enshrined deity of this shrine is Taka-Okami-no-Kami (高龗神). This God is a Ryujin (龍神:dragon god), and he has the divine favor of water and rain. When this Shinto shrine was established, the god who was called “Tamayori-hime (玉依姫)” came to this Shinto shrine on a yellow ship (黄船). Because 黄船(Kifune) can also be read as 貴船(Kifune), it is also said that the name of this shrine originated from this ship’s color. 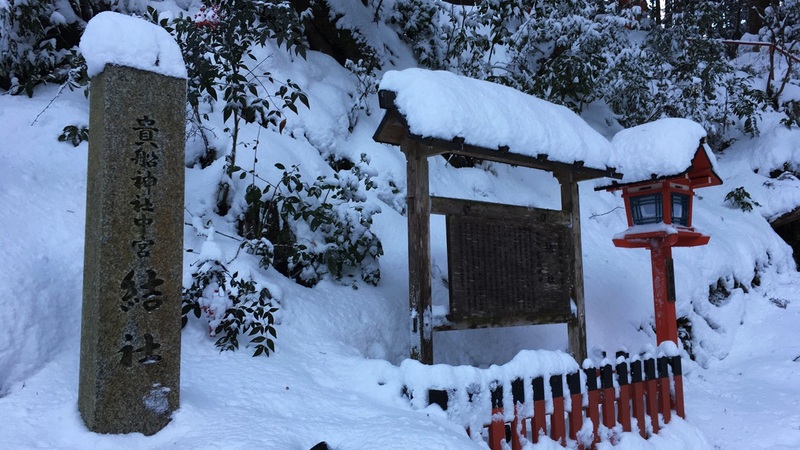 There are three Shinto shrines called Hongu (本宮), Yui-no-Yashiro (結社), and Okumiya (奥宮) in this Shinto shrine. Next, let’s see the highlight of Kifune-jinja Shrine!! ・The official order of worship is “Hongu (本宮)” → “Okumiya (奥宮)” → “Yui-no-Yashiro (結社)”. ・Sacred water is free. Let’s take an empty plastic bottle. ・The worship method of the Shinto shrine, please refer to the following article. Hongu (本宮) is located in the south side and is the main place of this shrine. Taka-Okami-no-Kami (高龗神) which is God of Hongu (本宮) and Kura-Okami-no-Kami (闇龗神) which is God of Okumiya (奥宮) are same God. This is Ichi-no-torii (first torii gate). 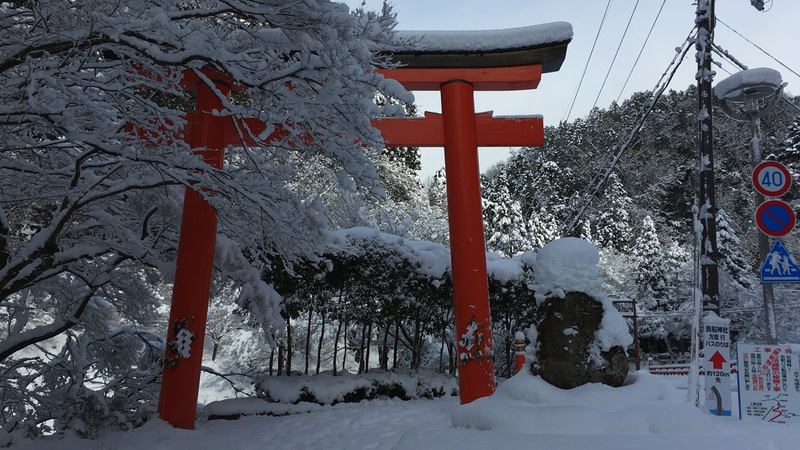 This torii is built near the Kibuneguchi bus stop that is away from the shrine. This is Ni-no-torii (second torii gate). 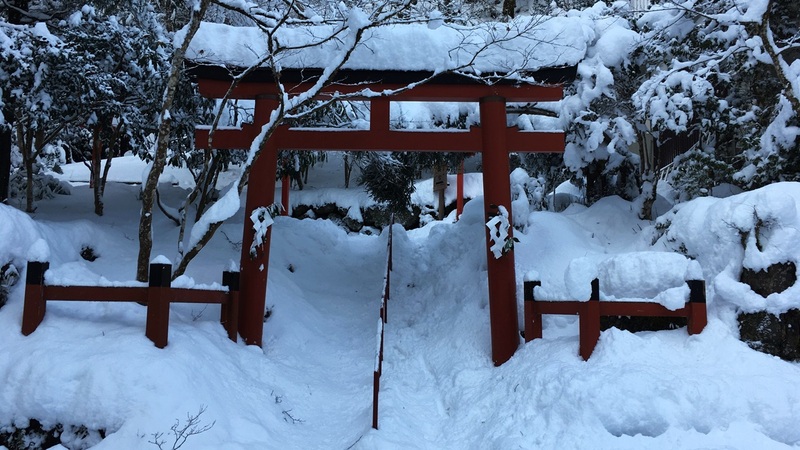 This torii is built on the south side of Hongu (本宮). 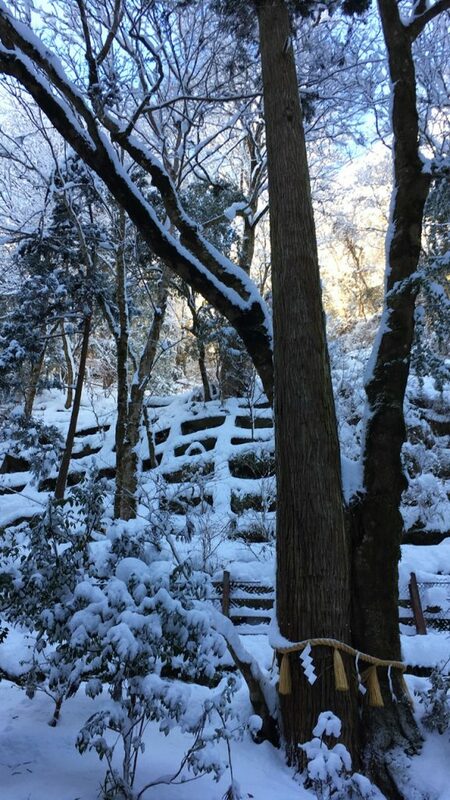 This is the stone steps of the south approach. It is a very famous photography spot here. 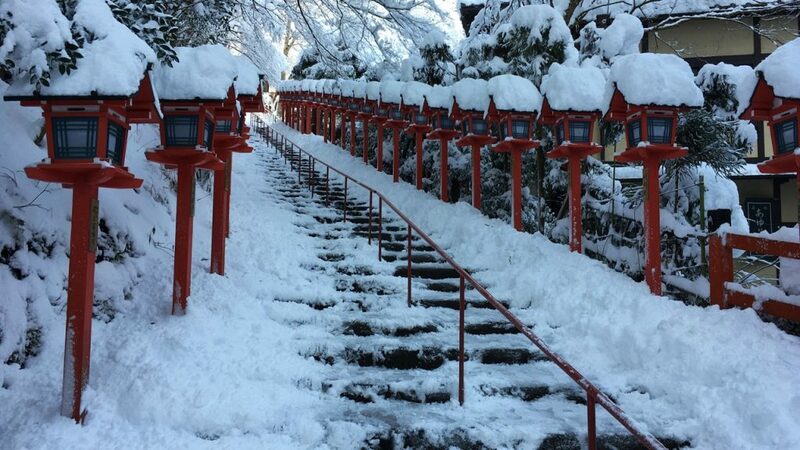 Many garden lanterns called Kasuga-doro (春日灯籠) are displayed on both sides of the stone steps. This is the South Gate (南門). A building on this side is Hai-den (Worship hall). 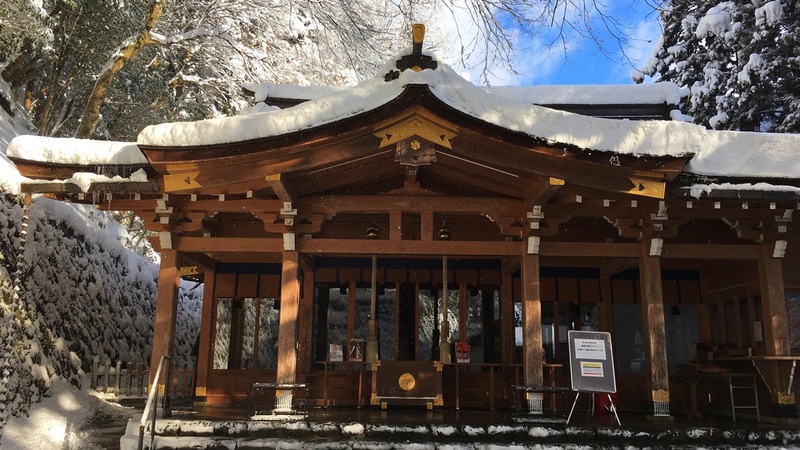 This building is a place of performing Shinto ritual. This is a new building which was reconstructed in 2005. A building on the other side is Hon-den (Mail hall). This is also a new building which was reconstructed in 2005. 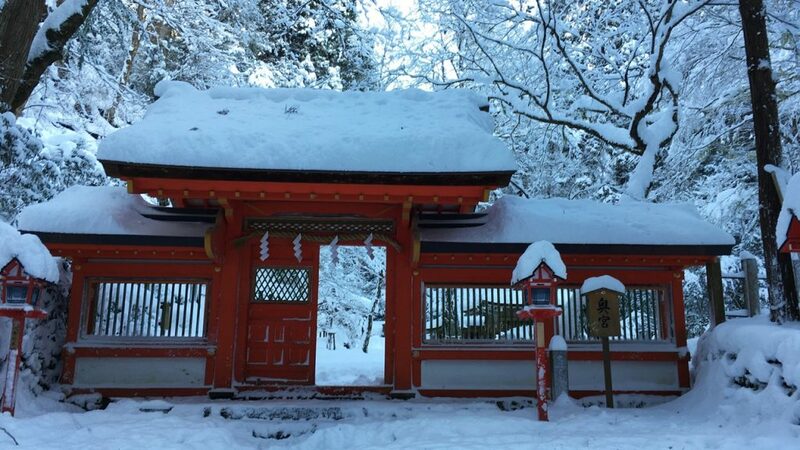 Taka-Okami-no-Kami (高龗神) which is the main enshrined deity is enshrined in this building. 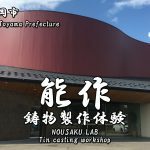 The building which is in the innermost is Gon-den (権殿). Gon-den (権殿) is the building which becomes the temporary house when God moves. 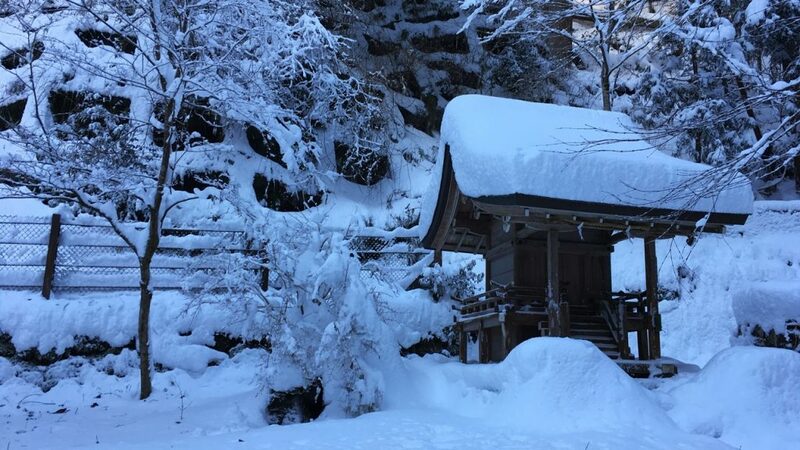 This is Ryusen-kaku (龍船閣) which has a role of the rest house for worshipers. This is also a new building which was reconstructed in 2015. 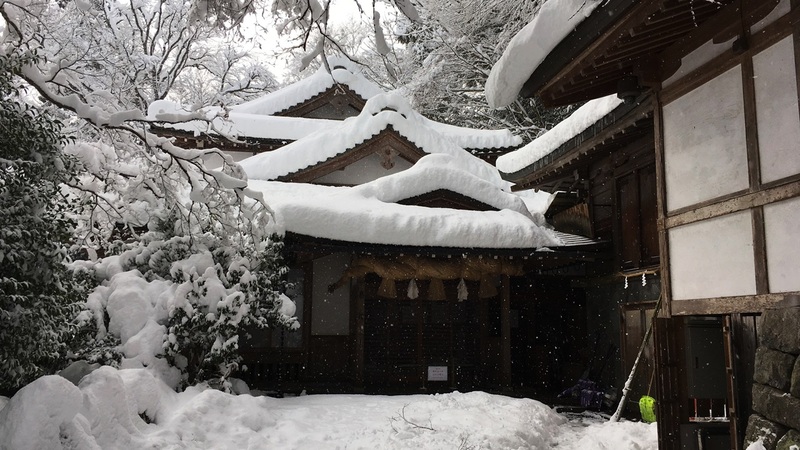 Saikan(斎館) is a building to cleanse mind and body before a Shinto priest performs Shinto ritual. This is the conferment hall (授与所). 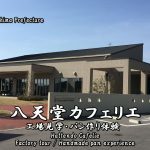 We can buy a Goshuin and talismans etc in this building. This is Chozuya (手水舎) which was reconstructed in 2015. 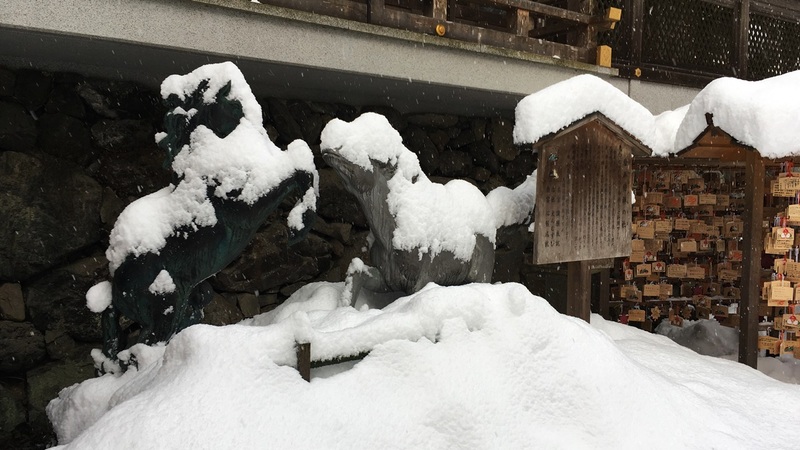 This Shinto shrine is known as the birthplace of the Ema (a votive horse tablet). 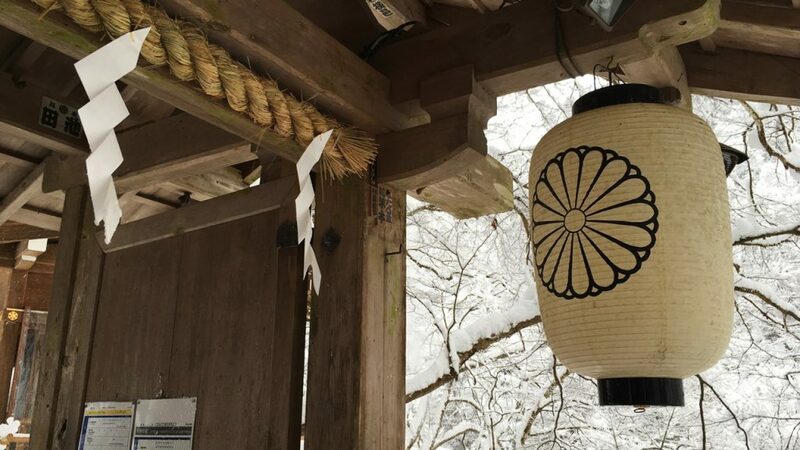 This Shinto shrine has divine favor of water and the rain. So, in the old days, when an act of begging for rain was prayed, the people dedicated a black horse. And, when an act of begging for sunshine was prayed, the people dedicated a white horse. 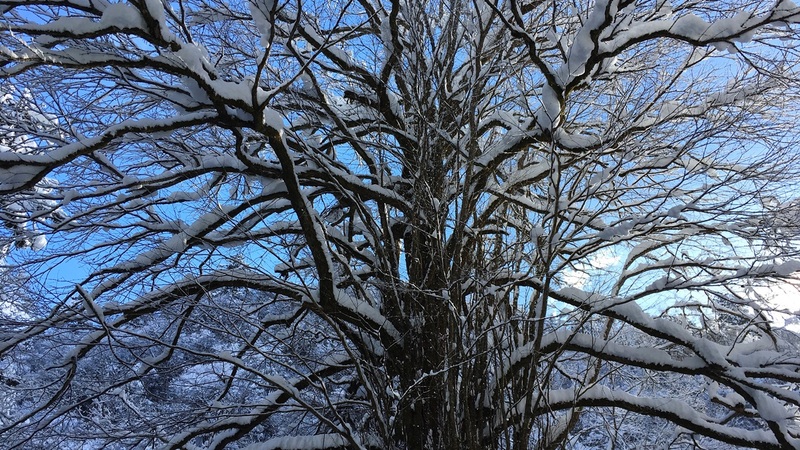 Hongu’s sacred tree is Katsura-tree which has the 30m high and over 400 years old. 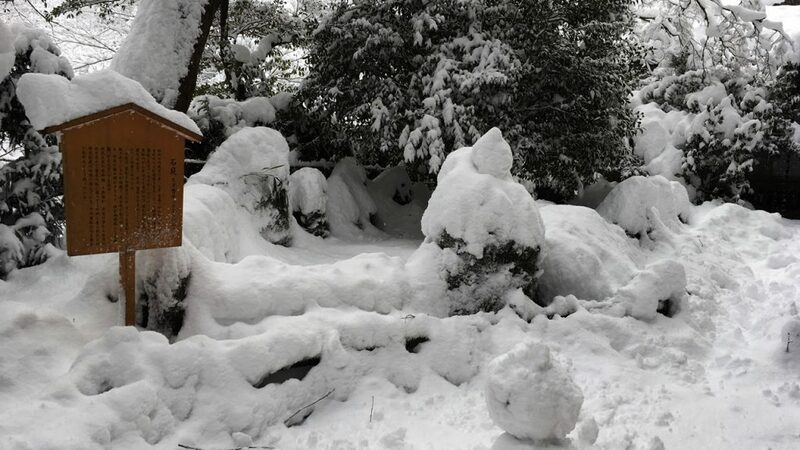 This is Sekitei (stone garden) designed by Mirei SHIGEMORI (重森三玲) who is a famous garden designer of the Showa period. 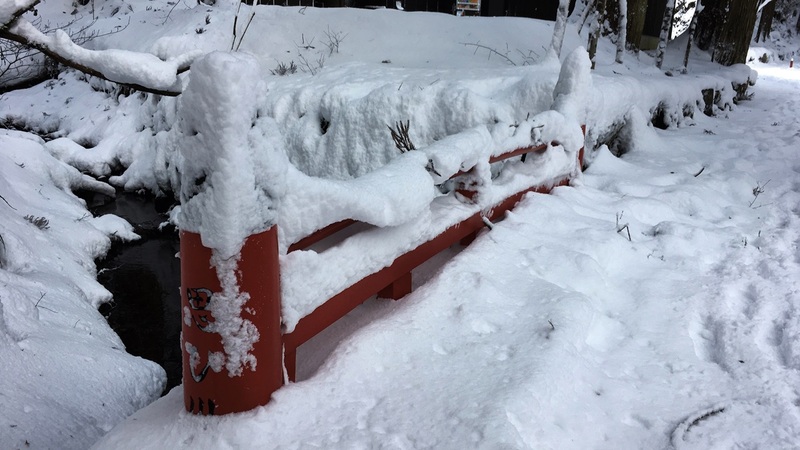 It was covered with snow on the day when I visited it. 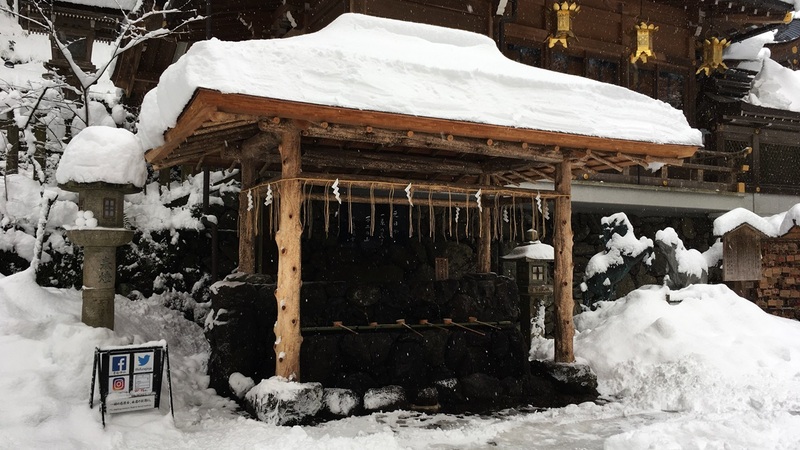 There is a spring water called Gojinsui (Sacred water) in front of Hai-den. This is the Kita-mon (North Gate). The north approach is smaller than the south approach. This is the San-no-torii (third torii gate). 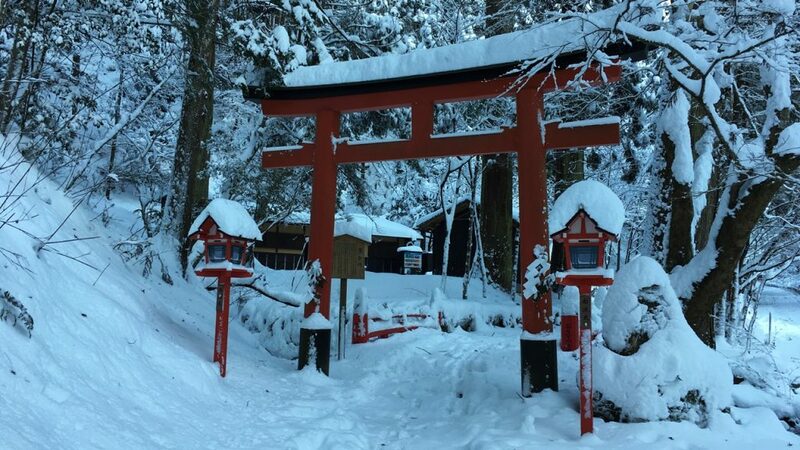 This torii has the role of the entrance of the north side of this Shinto shrine. Yui-no-Yashiro (結社) is located at the middle of Hongu (本宮) and Okumiya (奥宮). 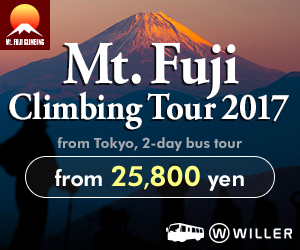 It’s about 10 minutes (500 m) on foot from Hongu (本宮). The enshrined deity of Yui-no-Yashiro is Iwanagahime no Mikoto (磐長姫命). She has the divine favor of matchmaking (marriage). 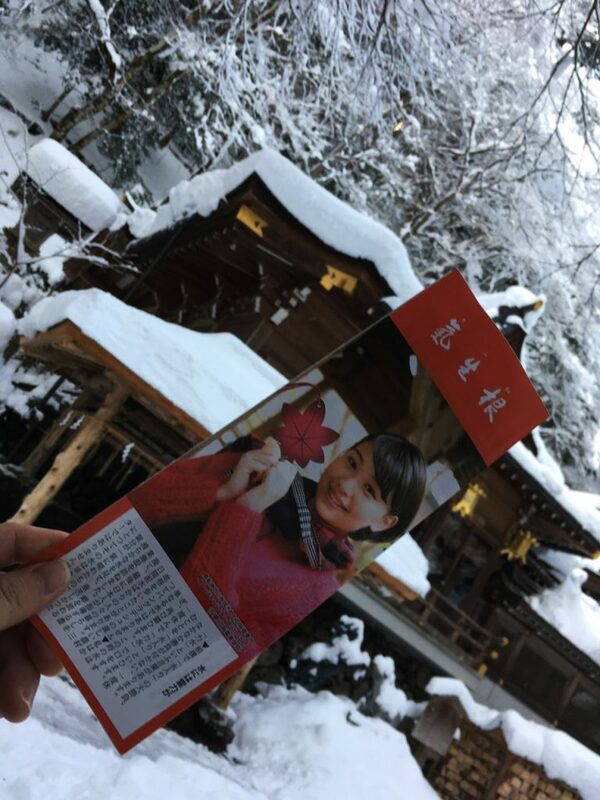 Because Yui-no-Yashiro (結社) is located at the middle of Hongu (本宮) and Okumiya (奥宮), it is also called “中宮(Nakamiya)”. It is smaller than other places. 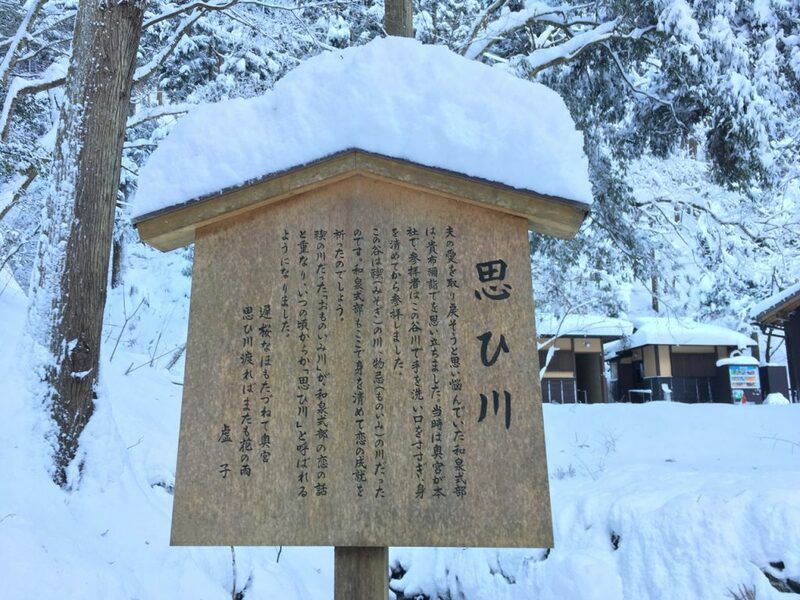 This is a monument inscribed with a tanka poem of Izumi Shikibu (和泉式部). 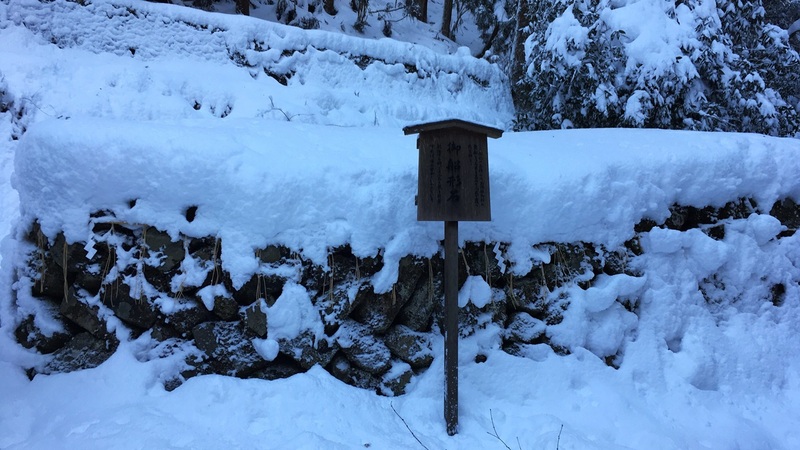 This is the tanka that expressed loneliness not to be able to meet her husband. 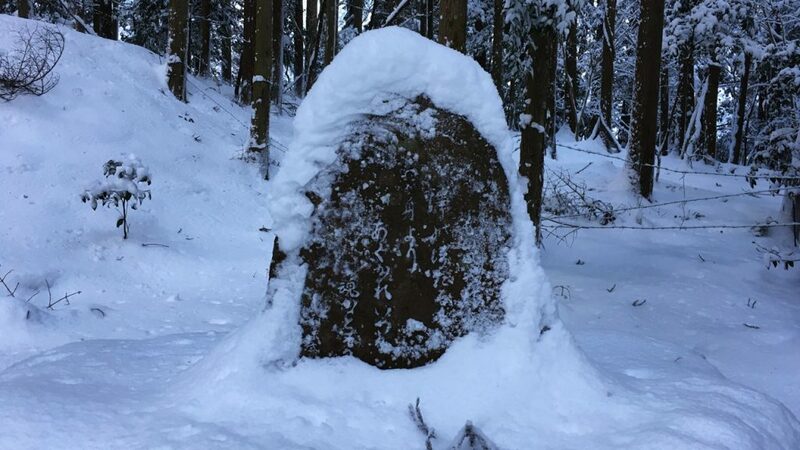 This huge stone has a shape of the ship. It was dedicated as a sacred ship of Iwanagahime no Mikoto (磐長姫命) enshrined in this Shinto shrine in 1996. 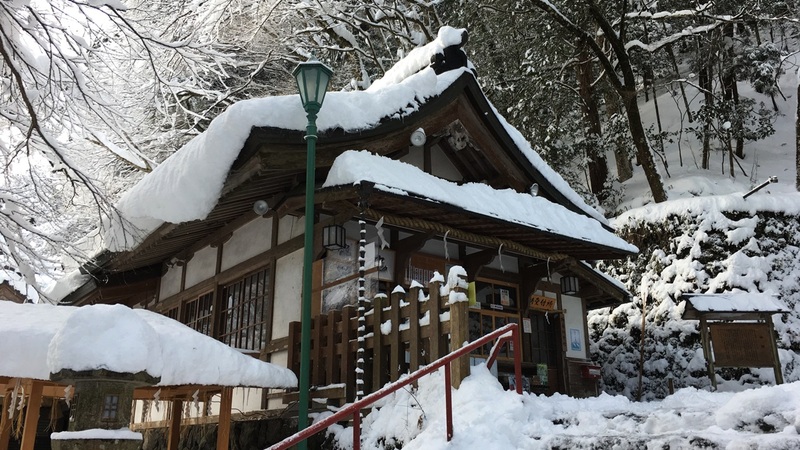 Okumiya (奥宮) is located at the north of Hongu (本宮). 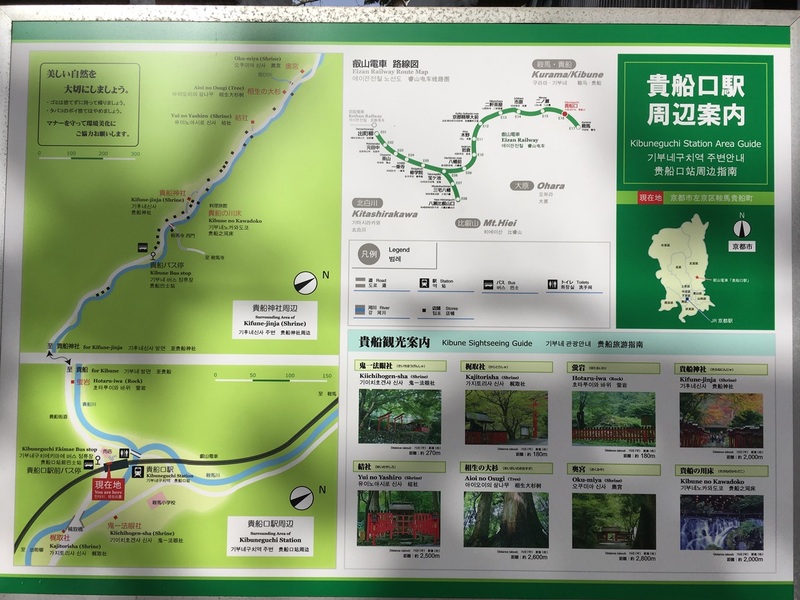 It’s about 15 minutes (800 m) on foot from Hongu (本宮). The enshrined deity of Okumiya (奥宮) is Kura-Okami-no-Kami (闇龗神). 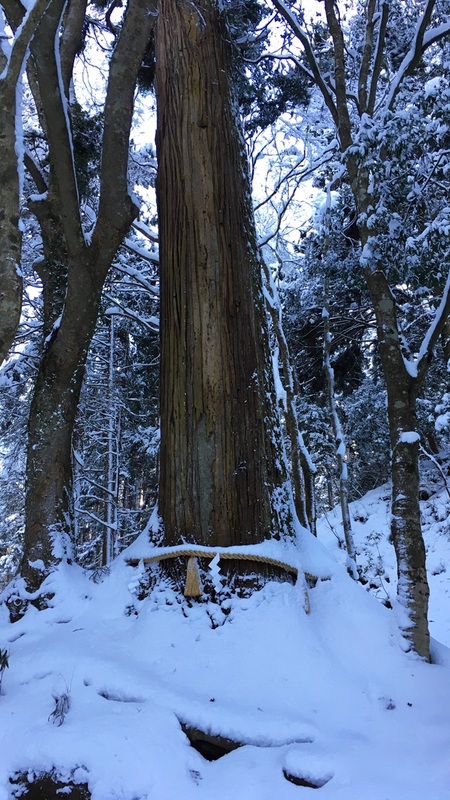 This is a sacred cedar tree of Okumiya (奥宮) which is called “Aioi-no-sugi (相生の杉:Aioi cedar)“. The kanji called “Aioi(相生)” has a meaning of “A couple helps each other and lives”. 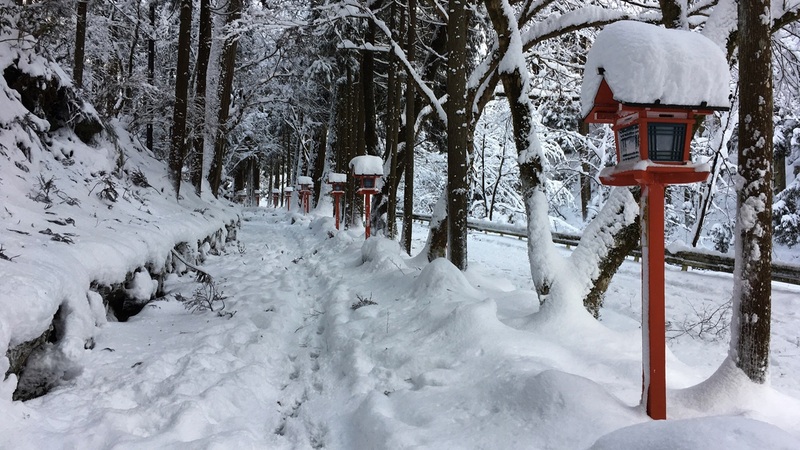 This is Oku-no-miya Torii (奥宮鳥居). 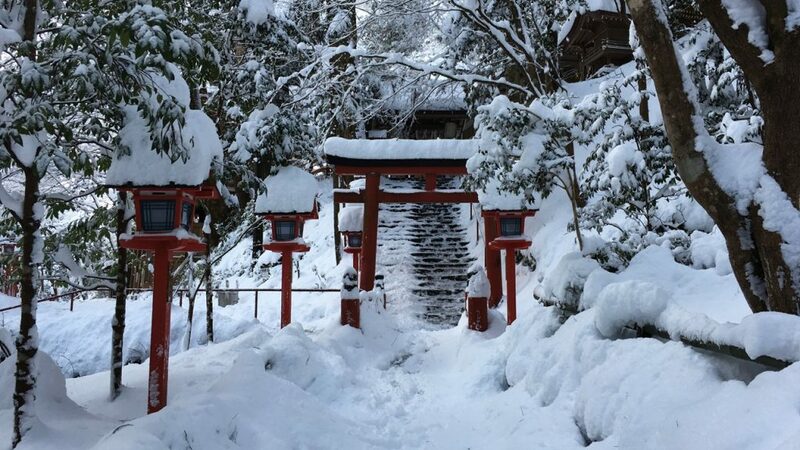 This torii has the role of the entrance of the approach to the Okumiya (奥宮). The river near Oku-no-miya Torii (奥宮鳥居) is called “Omoi-gawa (思ひ川)“. 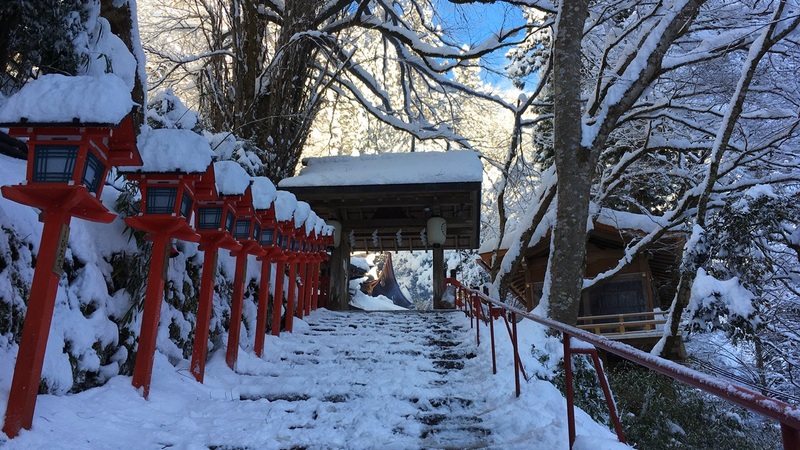 Before reaching the Shinto Shrine, visitors are required to go through a purification ritual to make their bodies and spirits fresh. It is said that Izumi Shikibu (和泉式部) went through a purification ritual to make her bodies and spirits fresh here. 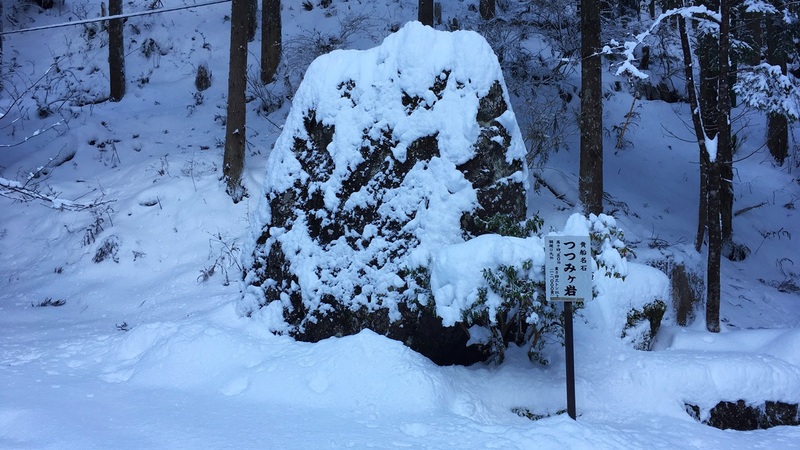 The huge stone put beside an approach to Okumiya is called “Tsutsumi-ga-ishi stone (つつみヶ石)“. This is an approach to Okumiya (奥宮). This is the Shin-mon Gate (Shrine Gate). This gate has the role of the entrance of Okumiya (奥宮). This is Hai-den (Worship hall). This is Hon-den (Mail hall). In old days, there was Hongu (本宮) of this Shinto shrine in this place. However, because a building was destroyed by a flood in 1046, Hongu (本宮) was reconstructed downstream in 1055. As a result, this place came to be enshrined as Okumiya (奥宮). The space that is adjacent to Hon-den is called Gonchi (権地). 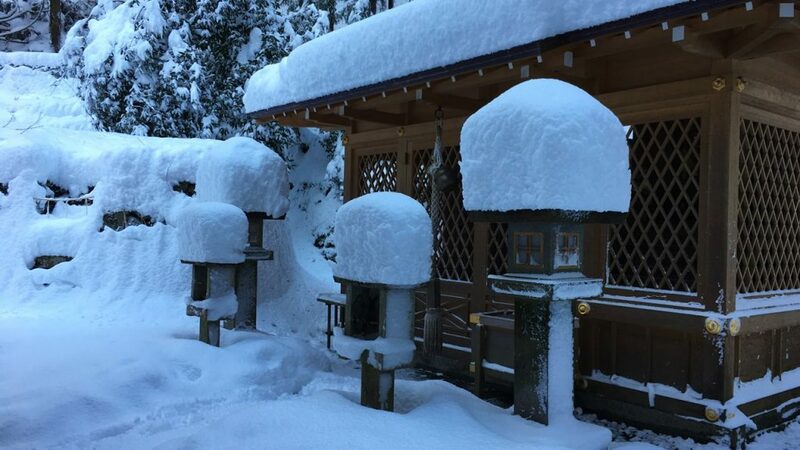 Gonchi (権地) is the place which becomes the temporary place when God moves. This stone is said to be a sacred ship which “Tamayori-hime (玉依姫)” used. 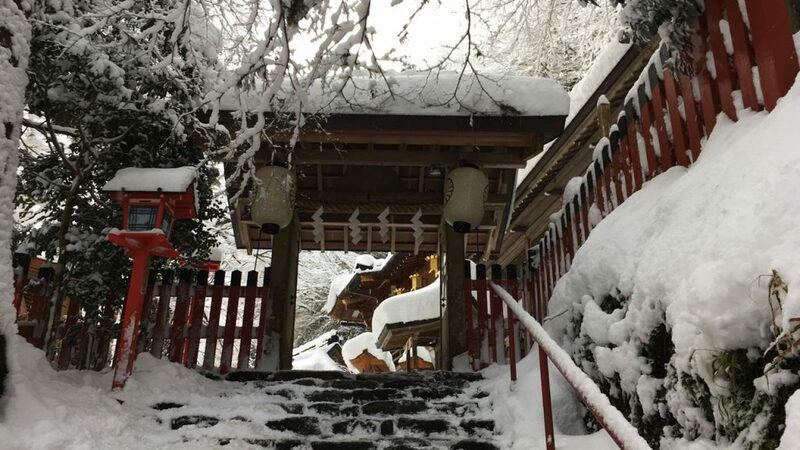 This is Suikazura-sha shrine (吸葛社) which is a sub-shrine of Okumiya (奥宮). 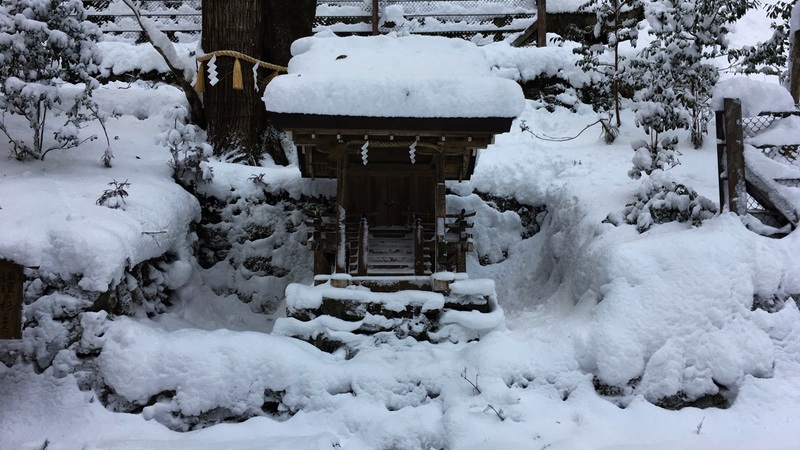 Ajisukitakahikone-no-mikoto (味耜高彦根命) which is God of agriculture and thunder is enshrined in this sub-shrine. This is Suzuichi-sha shrine (鈴市社) which is a sub-shrine of Okumiya (奥宮). Himetataraisuzuhime-no-mikoto(媛蹈鞴五十鈴媛命) who is a wife of Emperor Jinmu (神武天皇) who is said to be the Japanese first Emperor is enshrined in this sub-shrine. 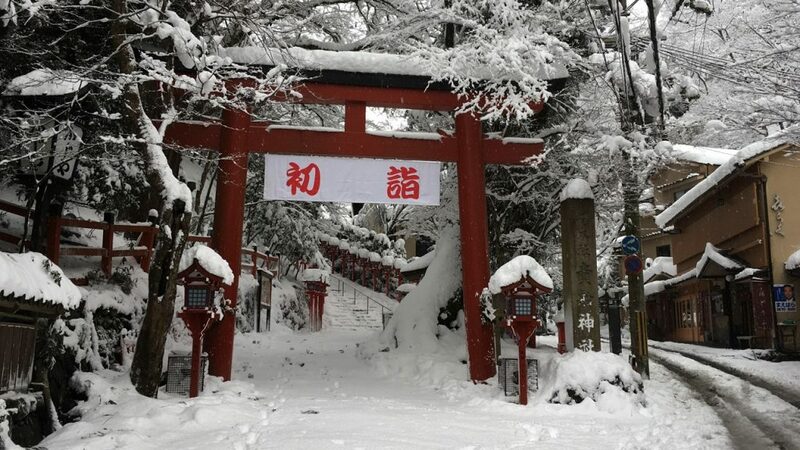 This is Hiyoshi-sha shrine (日吉社) which is a sub-shrine of Okumiya (奥宮). 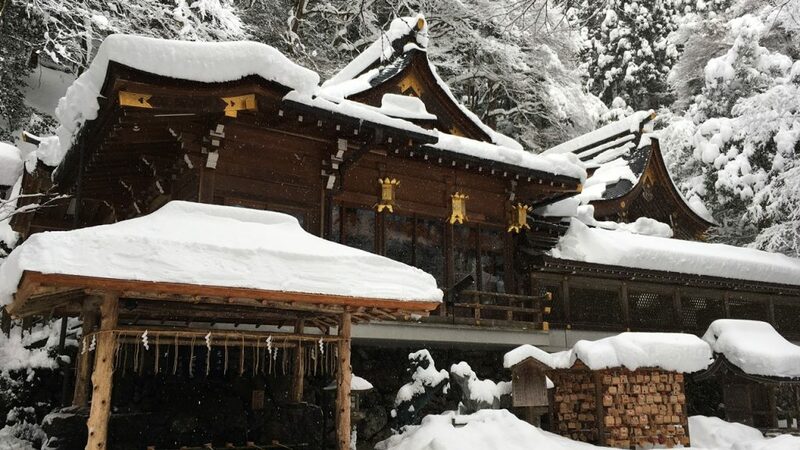 Omononushi-no-mikoto (大物主命) which is God who protects the mountains of this place is enshrined in this sub-shrine. This is a sacred cedar tree of Okumiya (奥野宮) which is called “Renri-no-sugi (連理の杉:Cedar of the eternal love)“. The left side of this tree is cedar, and right side is maple. 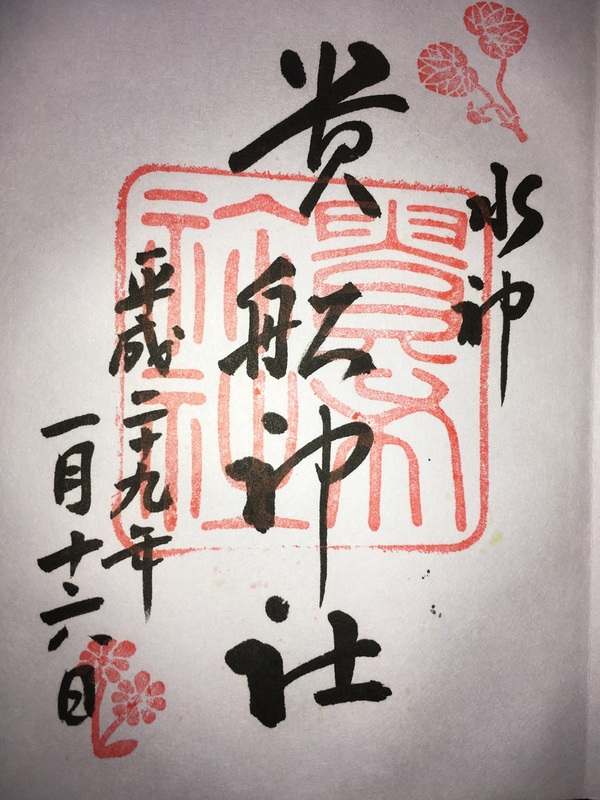 Because Renri (連理) means that two kinds of different trees become one tree, it is said that this tree has divine favor of the harmonious marriage. 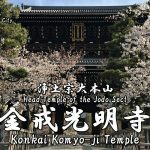 The goshuin of Hongu (本宮) is “貴船神社(Kifunejinja)”. 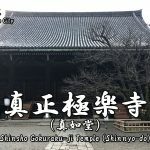 The goshuin of Okumiya (奥宮) is “奥宮(Okumiya)”. 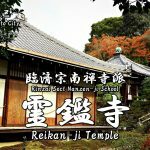 The nearest station of Kifune-jinja Shrine is ‘Eizan Railway Kurama Line Kibuneguchi Station’. 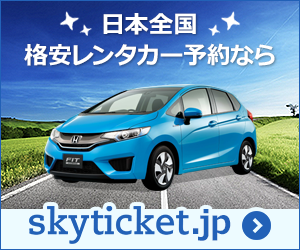 Because it is far from the nearest station, I recommend that you use a bus from the station. 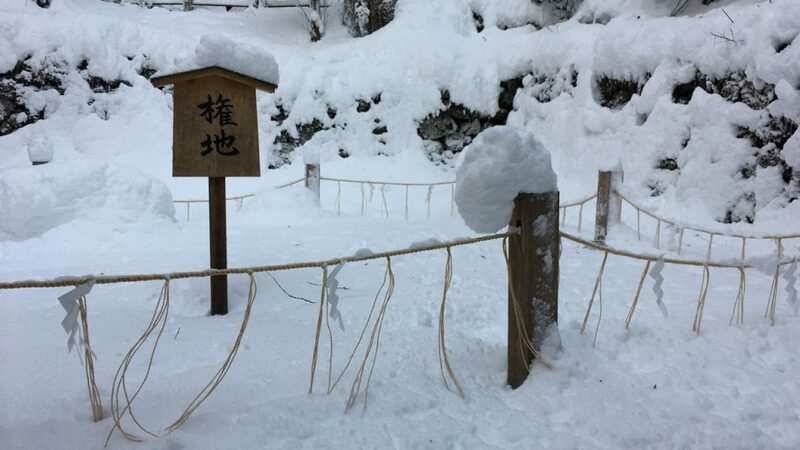 Please try to go to this shrine.